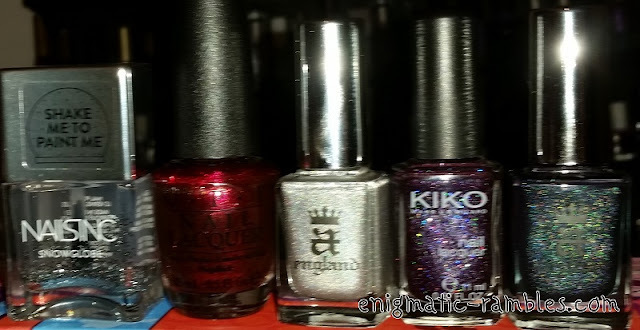 Now that December is upon us I thought I would share this years top 5 winter / festive nail polishes with you all. Expect lots of sparkle! 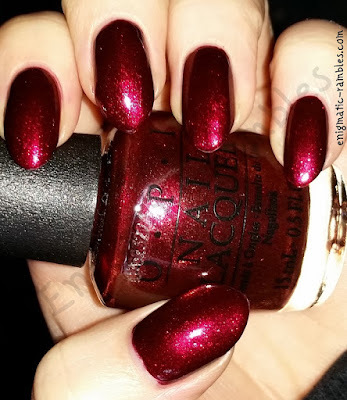 First is OPI's Let Your Love Shine, it is a gorgeous deep red with red glass flecks running though it. 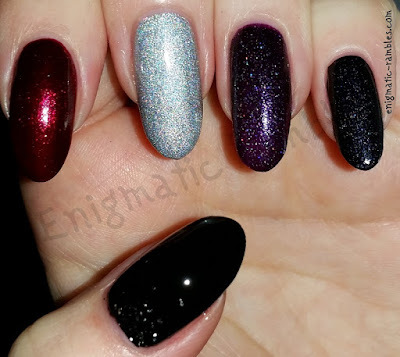 Next is A England and Encore Margot, a silver holographic which is sparkly and quite holographic when in the rare winter sun! What would a top 5 nail polish picks be without a purple. 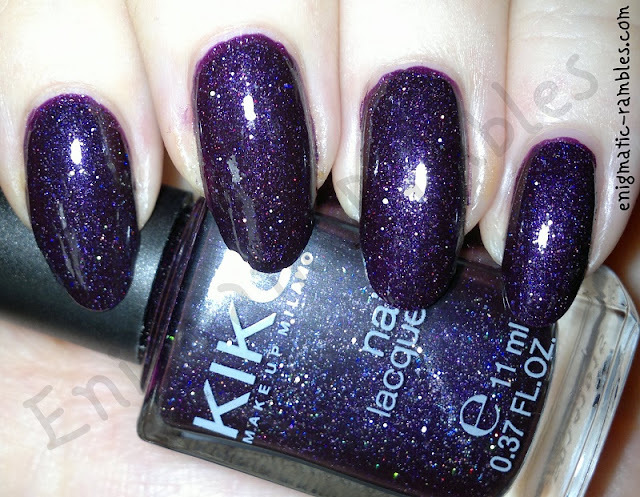 This one is Kiko Purple Microglitter, a dark purple base with multi coloured micro glitter. And finally we have a silver glitter in a clear base, which can be used as a cuticle accent gradient or as a wash of sparkle over the entire nail. You have to have some kind of actual full on glitter at this time of year I think!